Parkrose Provides is a program run by the Leadership class at Parkrose High School. Dedicated to providing food and clothing to families in need throughout the year, the program is ramping up efforts and reaching out to the community for the holiday season. Murmur is helping out by taking donations of nonperishable, easy to prepare food at our office. We’ll also be sponsoring a family and providing holiday gifts. Join us in giving! Parkrose Provides is particularly seeking easy to prepare foods. Things like Easy Mac, oatmeal packets, granola bars, Top Ramen, and Cup of Noodles are great! Foods should be nonperishable and single serving sizes are specifically needed. We’re also collecting canned goods like soups, tuna, and chicken as well as pasta and sauce and other similar items. If you want to donate money to Parkrose Provides or sponsor a family this season, you can reach out to Remy, our Parkrose contact, by email remy_jewell@parkrose.k12.or.us. Or let us know and we’ll put you in touch! It’s the Season of Giving and it’s also soon to be Winter Break at our local schools. During school breaks, students no longer have access to school-provided meals (which, for many, provide the majority of their food each day). This can be a huge stress on kids and families in our community, many of whom are living in temporary shelters, RVs, and motels. As the weather gets colder, kids also need warm clothes that many families are unable to afford. Parkrose Provides seeks to alleviate these needs. 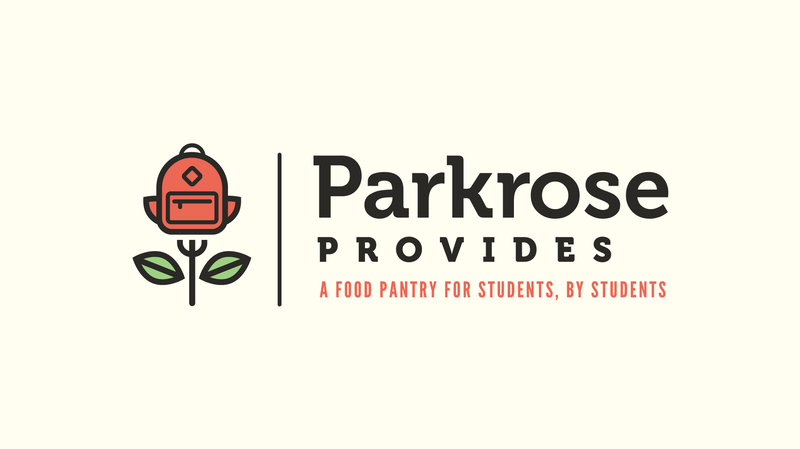 Parkrose Provides began as a backpack program dedicated to feeding kids over breaks and on weekends when they wouldn’t be getting school meals. Now Parkrose Provides serves 20-40 families each week and advocates a culture of support within the community. This year, the program expanded to include a clothes closet and is also trying to support families over the holidays. They were able to provide full Thanksgiving meals for twelve families through generous donations from NW Natural and will be able to do the same this Christmas. Parkrose Provides is also leading a family adoption program, pairing organizations with families to provide gifts for the holidays. The Parkrose High School staff, Parkrose Middle School, Parkrose District Office, Booster Club, and many other community partners (including Murmur!) are all sponsoring families this year. The Parkrose Provides logo (created by Murmur) is a symbol of the peer and community support the organization fosters. The rose represents the Portland and Parkrose communities and the backpack is the assistance provided to kids and families (Parkrose Provides sends kids home with backpacks full of food! ).